Blockchain has been around for a while now but is only just hitting the mainstream. Becoming educated on this disruptive technology is important. 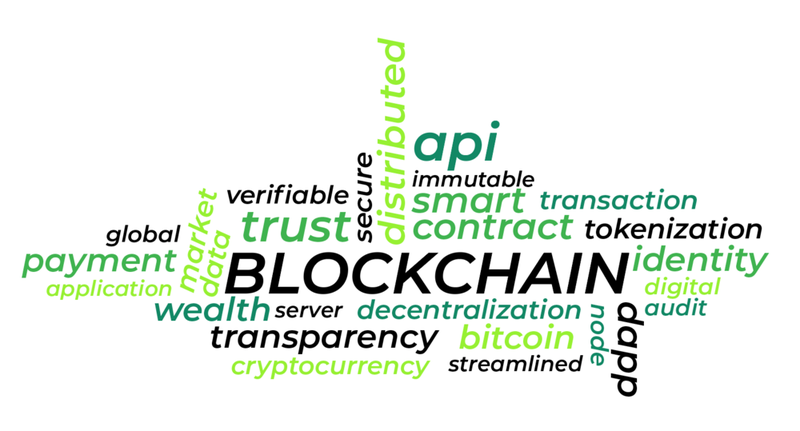 These are the five things that we at STG believe you need to understand to benefit any decisions you make concerning the future of your business with blockchain. Bitcoin is the first successful application of blockchain. Unfortunately, this relationship is often interpreted as: blockchain = Bitcoin and Bitcoin = blockchain. This is not the case. In actuality, Bitcoin is to blockchain as email is to the internet — the first widespread success story of the technology. Blockchain is not limited to this one application. Smart Contracts, Data Management, Automation, etc. are all possible applications. Check out this video for another explanation HERE. 2. What is a Smart Contract? Simply put a smart contract is an automated contract that automatically delivers when the conditions of the contract are met. Once a contract is uploaded to the blockchain it becomes a ‘Smart Contract’. In the context of sports, if an athlete’s contract were to be put on the blockchain (thus becoming a Smart Contract), the moment that athlete hit any of the predetermined targets wherein they are to receive payment, that payment is automatically released into their bank account. The predetermined payment targets could be anything from monthly salary payment to a goal bonus. The Smart Contract is able to verify that payment should be released to the athlete through the blockchain, specifically through verifying that the player has hit the predetermined targets by checking a number of different sources in an instant. Pavel Bains’ article quickly explains the smart contract in the best way: READ HERE. Two types of blockchain have emerged as ideal for the applications of blockchain. Public blockchains are the most widely discussed. A public blockchain ledger can be viewed, and accessed by anyone in the world, so long as they are looking for the application. Cryptocurrencies use public blockchains, and are therefore regulated by whoever has access to that cryptocurrency and its underlying blockchain. Any member of the public can go and buy cryptocurrency, thus accessing the network. A private blockchain is a closed off network where permissions are centralized in one organization. One could argue that there is no need for blockchain in this case because having a centralized authority somewhat defeats the purposes of a decentralized blockchain. However, a private blockchain is commonly used for internal database management, or auditing where the list of transactions cannot be changed without recording the change in the blockchain. While data may be easier to alter under a centralized authority, the record of the change is still recorded. Private blockchains run on a permissioned basis. A network of authorized members, that can only be added by the consortium governing the chain. For example, a smart contract on the blockchain can only be viewed by the lawyers, the participants, and the witnesses. With a permissioned blockchain, the governance of the blockchain authorizes how the chain is run, and how new members can be added. Interested in a more in-depth explanation? Check out Ethereum’s blog HERE. The major change of a blockchain from typical applications is the use of a decentralized database, rather than a centralized one, over a distributed ledger. The best way to explain a distributed ledger is with the google documents example. Centralized databases work like sharing a Microsoft word document. Only one person can edit the document at a time, or you end up with multiple versions that must be cross-checked and manually synced to avoid disputes. In Google docs/sheets, however, both parties can view and edit the same document at the same time. The single version is distributed to all parties, therefore decentralizing the information. Blockchain works similarly with only one version of the data that can be viewed by all parties. The difference is changes can only be made when the parties agree on the alterations, thus recording them into an unhackable ledger. Unhackable because the same version is stored in every user’s computer, thus if a change is attempted without agreement between parties the change is denied. To further understand how a distributed ledger works VIEW HERE. 5. Will not get rid of lawyers, sports agents, and all immediaries — just redundancies? It is important to note that blockchain is not a silver bullet. It cannot rid the world of intermediaries like banks and lawyers. In sports, it cannot rid the industry of agents, they are still a vital part of the ecosystem for the athlete’s welfare. What blockchain will do is eliminate redundancies, speed up administrative processes and streamline contract negotiation. As the contract negotiation process currently stands, there is no uniform tool through which contract changes can be tracked. Administrative teams spend countless hours cross-referencing and printing out updated versions of the contract. Blockchain can reduce grey areas in contractual agreements, and disputes over what versions of contracts were signed, edited, amended etc. However, it does not eliminate the need for human intermediaries — in this case, the agent. They are still the experts when it comes to negotiation tactics and the laws in place that affect the contract. Having a blockchain application does not suddenly make us all experts in the law.